Part of our role as ICTMark assessors involves carrying out visits to schools that have reached the threshold for ICTMark accreditation. The half day visit allows us to check that the threshold level has been reached across all required aspects of the Self Review Framework. We can only recommend accreditation for the award after carrying out a review in school where I look at evidence, consult with the head teacher and meet school leaders, staff and learners in order to judge that the school is able to demonstrate that it has reached the required levels. Progress and achievement – think about pupils in different classes, subjects and years in your school. To what extent has the use of ICT had a demonstrable impact on their progress and achievement? Put another way, would they have made less progress and achieved less well had they not been able to use ICT? ICT Capability – think about your pupils’ progress and achievement in relation to their ICT capability. Do all pupils make good progress in developing and applying their knowledge, skills and understanding of ICT in a wide range of contexts? Pupils’ learning – think about how your pupils learn in different classes, subjects and years. Does ICT help them learn more effectively both in school and elsewhere? In other words, does their use of ICT in and out of school help them to become better learners? Quality of teaching – think about the teachers and support staff in your school. To what extent has the effectiveness of their teaching been improved by ICT? Organisational effectiveness – think about your school as an organisation and the people that work in it. To what extent is the use of ICT improving working practices and making your school more effective and efficient? Partnerships – think about your communication and engagement with parents/carers. To what extent is ICT used to enhance the partnership with parents/carers? Is this effective in engaging them more fully in the life of the school and in support of their children’s learning? Vision and strategy – think about what your school is trying to achieve through the use of ICT. Is there a shared vision for the way that ICT will improve the quality of learning, teaching and management, and a strategy which ensures this is realised? Leadership and innovation – think about the leadership at all levels in your school. Does this leadership create a culture where staff feel encouraged to develop new practices with ICT, reflect on outcomes and share successful innovation for wider adoption? ICT resources – think about your school’s ICT resources including hardware, software and digital learning and management resources. Are these of sufficient quantity, quality, reliability and availability to help you achieve your school vision and your aspirations for ICT? In other words, do you have the right resources in the right place at the right time? Safeguarding – think about the pupils, staff and others with access to the school’s ICT systems. Is there a clear and well-understood e-safety strategy which ensures a safe environment for ICT use? Are pupils and staff made aware of their responsibilities so that they adopt appropriate behaviours when they use ICT both within and beyond the school? A green background – you can use a cloth or cover a wall with paper. A camera and computer or you can use a tablet or even a smart phone. An app or program that supports chroma key. Ideas for using green screen in the classroom include news reports from exotic locations, weather reports, learning the names of the planets by visiting them and tours of historic locations including travelling back in time. Make sure your screen is held tight – you don’t want creases in the fabric. A tripod will help deal with shaky hands and will make the process much easier. Subjects should not wear any green clothing as that will disappear in the film. It is worth using external lighting projecting on the screen and not the subject. Avoid shadows on the green screen – aim for an even colour. Subjects shouldn’t be too close to the screen – aim for around 60cm. Check the viewfinder to ensure that the subject is within the green screen and be careful not to film beyond the green area. If you have more than one subject moving, avoid them crossing each other paths. Background: A green table cloth or sheet attached to a wall or frame. Available to purchase for a few pounds. You can also paint or attach large green sheets of paper to a wall. Hardware: A webcam or video camera connected to laptop or desktop computer. Alternatively a tablet (or mobile phone). A tripod is highly recommended and additional lighting will help you avoid shadows. Software: Most video editing software has a chroma key function or you can use a dedicated app. Most of the apps/programs below are inexpensive and some are free. We’ve got some inspiring ideas for your school to run in order to follow up Safer Internet Day. 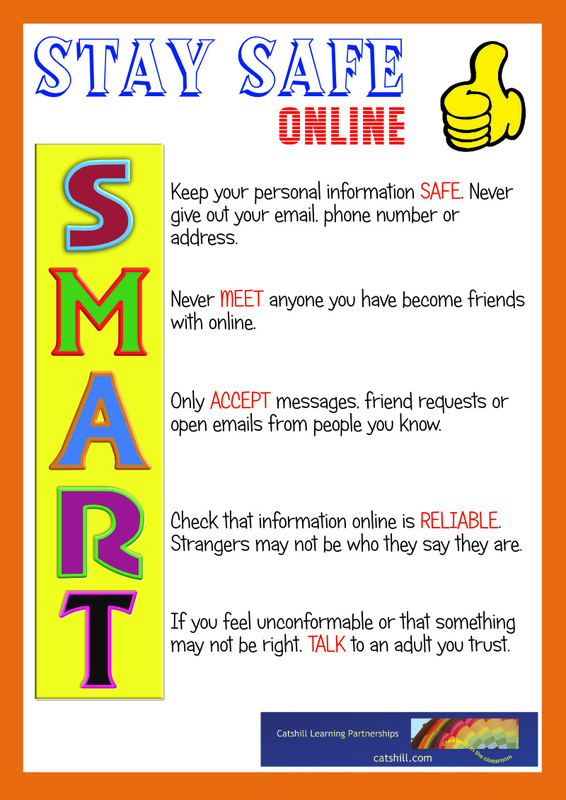 You can also download our free Online Safety Poster. 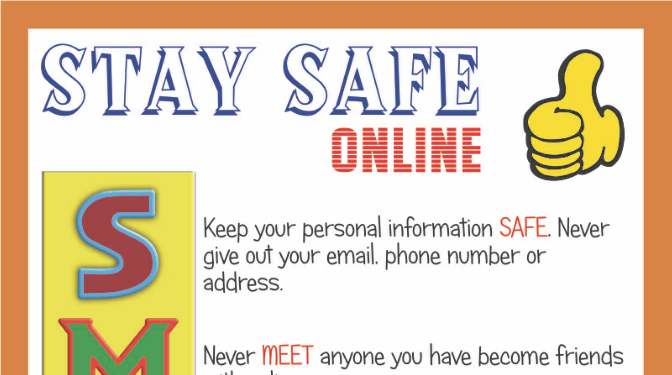 Download our new Stay Safe Online Safety Poster here. Children’s wishes – Schools should ensure that pupils’ wishes and feelings are taken into account when determining what action to take in response to a safeguarding concern. Policies – Safeguarding policies should be publicly available, updated annually and reflect the local environment and circumstances. SEND and disability – Child protection policies should reflect the fact that there can be additional barriers to recognising abuse and neglect in children with special educational needs. Recruitment – The majority of school staff will require an enhanced DBS check with barred list information as they will be engaging in ‘regulated activity’. Schools must keep a single central record (SCR) to demonstrate they have carried out the mandatory pre-appointment checks. Emergency contact numbers – The revisions recommend that schools and colleges hold more than one emergency contact number for each pupil. A 12 month support package for schools that provides access to independent curriculum and technical advice including strategic planning for Computing, ICT and Online Safety. One hour CPD for teachers every term on a range of topics and themes which are relevant to members of staff with responsibility for Computing, ICT and Online Safety. These interactive workshops are delivered using Google Hangouts. An email advice line for the head teacher as well as a nominated staff member. This service can be supplemented by a telephone/video call. Recommendations in terms of hardware and software including access to our preferred supplier network who offer great service and discounts. Priority access to our school review and audit services and school based training packages for staff, pupils, parents and governors. There is a charge for these services. The current early bird rate for the Learning Partnership is £125 per year. How do I join or find out more? Our digital safeguarding tool allows teachers to Assess, Educate and Track improvement in their pupils’ knowledge of online dangers. The platform empowers young people with the skills they need to stay safe online. Along with the assessment tool and learning resources for pupils, there is a library of videos to up-skill and raise awareness for teachers. The aim is to provide a whole school approach to online safety. Assess-Educate-Track allows you to schedule online safety assessments at the press of a button. View, print and share reports with ease. Support learning with unique video content and manage everything quickly and easily through a simple, intuitive dashboard. CNECT is an important new initiative which brings together a network of school service providers who are prepared to work and support each other to an open quality standard. Already 18 school support professionals working with many hundreds of schools across the country have joined the expanding CNECT network and, in doing so, have indicated their commitment to the CNECT Charter. The CNECT Charter includes the commitment to provide schools with fair and impartial advice, in a timely manner which is up to date in the rapidly changing area that they work in. CNECT is the Consultants Network for Education Computing and Technology; members of CNECT are experienced professionals who are prepared to commit to the quality of the service that they provide to schools. 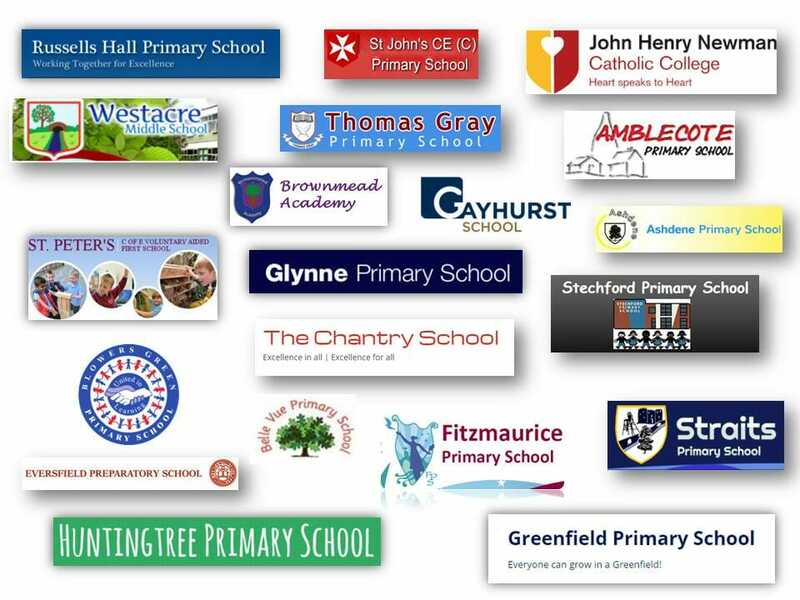 Schools should ask their current providers to show their commitment to the CNECT Charter or they may like to visit the CNECT web site, www.cnect.org.uk, to view those who have already made this very public commitment to provide a quality service. Everyone has their nightmare story to tell, being taken advantage of by the unscrupulous or poorly informed trader. Unfortunately, this has also been the case for schools who have consequently purchased poor support, advice or EdTech products. CNECT aims to solve this issue by bringing together those who serve schools to a voluntary code of practice and a supportive community. Members will be held accountable to this voluntary code by the evidence that they provide of customer satisfaction, by feedback received through the CNECT website and by peer review. Note for Editors: CNECT can be contacted through founder member Brett Laniosh, cnect@catshill.com, 01527 313 800. Schools across the UK took part in a national survey of internet use by pupils when at home. Brett Laniosh from Catshill Learning Partnerships, who carried out the survey, said that the results from over 19,000 pupils provide valuable information to schools on the range of hardware such as laptops, tablets, consoles and smart phones being used by young people. The survey was supported by education technology association Naace. Each class are shown a number of devices and pupils are asked to show by raising their hand which they use at home. The numbers were collated for each school with the national results published here for Safer Internet Day 2017. A free teaching resource has been published and is available here. Schools can still carry out the survey and compare their results with the national average by completing the form below. Please send a copy of the national pupil internet use survey for use in our school. Our digital leader training courses are very popular with secondary, middle, junior and first schools. We run training for two different groups – online safety and computing/technical. Look at the training programme for each to see which you wish to implement first. Earlier this year, I was working at a school in the lovely town of Bradford on Avon. The canalside location reminded me of the time we passed through the town by boat on our way to the picturesque city of Bath. I discussed with the Head of Computing how her newly trained digital leaders could share their wonderful material with parents. A similar conversation came about when I was working with the ICT lead at a school in Bromsgrove, updating their Online Safety Polices. She needed to get her class pages published, but their website just wasn’t making life easy. It was simply too difficult to publish content and even uploading a photo of class work took ages. Surely there must be a simpler and easier way that doesn’t cost the earth? There is, it’s called WordPress and I would strongly recommend you take a look at it. It gives you the flexibility to do things that you cannot do on your main school website, though you can still link to and from it. It should come as no surprise that our own sites are built on WordPress, as indeed is that of the Worcester-Birmingham and Droitwich Canals Society for which we volunteer. Small world! For class teacher and pupils to have their own class pages and blogs and to use these to celebrate their work. To create a dedicated online safety site for your parents and community. A vehicle for your digital leaders to publish and promote their work to others. For teachers to roll out special projects and generate an audience such as a specialist subject area or project like a school trip. To create a dedicated sub-site of your main school page such as the nursery, library, forest school, governors site or SEND. To create a dedicated fund raising site. 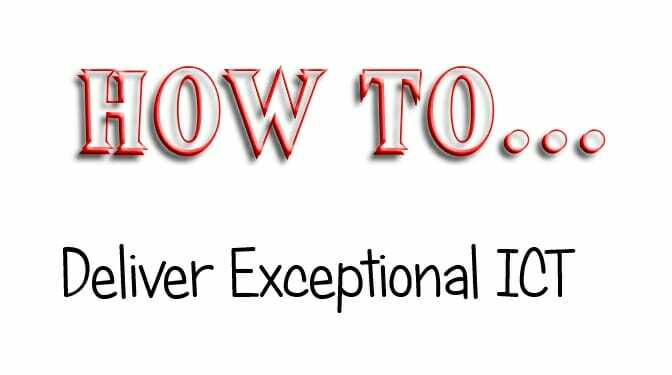 For a professional educator or professional learning blog. A place for digital e-portfolios for pupils. WordPress is very easy to use but at the same time it is a powerful online publishing tool. WordPress sites are easy to update. If you can create a Word document, you can publish a new article to your WordPress website. Once it is set up, you can update it anytime you want, and that is important for engagement with your visitors and for the search engines. It provides 1000’s of customisable designs or themes. WordPress sites work great in tablets or smart phones. Plugins allow you to extend the functionality of your WordPress site that help you add all kinds of functionality to your sites, like social media sharing, SEO, photo slideshows and more. Your site can be edited and updated by multiple users including (if required) staff, governors and pupils. It is a lot cheaper and easier to use than a VLE! You can connect it to your Social Media feed such as Twitter. 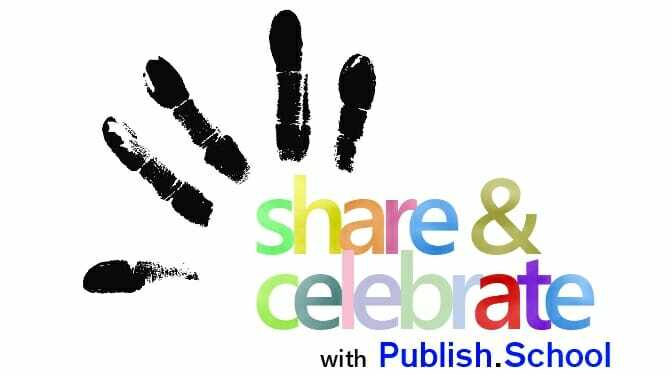 Publish.School gives you your own WordPress site for a special inclusive rate of just £50 per year. This rate includes your own fully customisable WordPress site with its own name.publish.school subdomain. If required, additional support and design services are available on a pro rata basis. CEOP have released the following information in response to news coverage about live streaming and young people. You may have seen news coverage in the last few days about the increased threat of sexual offending via Live streaming apps. As well as directing you to our new resources on Live Streaming #LiveSkills that can be used to educate children, young people, parents and carers about Live streaming, it was important that we address the behaviour of sharing images and videos of sexual abuse. This week, CEOP received an unprecedented number of reports about a sexual abuse video, involving two children, which has gone ‘viral’. We hope you understand that for the purposes of the ongoing safeguarding for the children involved, we are unable to release specifics about the content in the video, however we can inform you that the children are safe and that a man has been arrested and charged with several offences in connection with this incident. The advice from police in relation to this video is that if children and young people receive it on any social media platform, they should delete it immediately and tell a trusted adult – a teacher or parent for example. It is really important that they understand that if they show this video to someone else or forward it on to other people, they could be committing a crime and we want to stop that happening. The police have been clear that they do not want to criminalise children and that children won’t be in trouble if they’ve made a genuine mistake. For professionals and parents finding out that images and videos of abuse are being circulated by young people and adults on social media, it can be a stressful time and difficult to know what course of action to take immediately. Here are some clear steps to take and important things to remember. Report it to CEOP if it is an image or video of sexual abuse involving a child with a link to where the video or image is hosted e.g YouTube, Facebook. If a parent or carer is worried about a child seeing inappropriate things online Thinkuknow/parents has more information. A complete training and support package for your school. The toolkit provides complete coverage including school online safety policies, curriculum training, risk assessment, digital literacy, lessons and presentations. 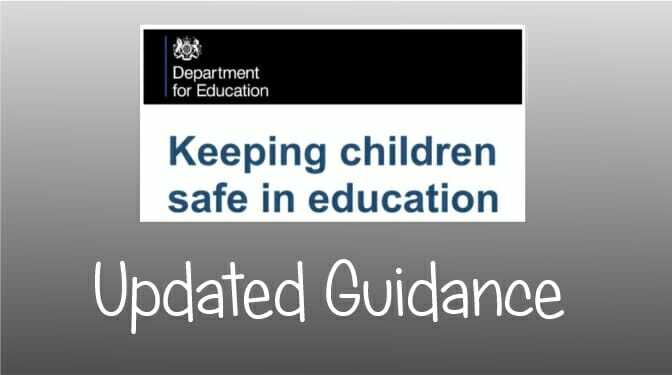 This includes information published in the DFE’s statutory guidance ‘Keeping Children Safe in Education‘. As well as building the robots (which will be donated to the schools), pupils were shown how to programme them and carry out a series of challenges such as following a route through an obstacle course. As sales of electric cars rise and government ministers have announced an £8 million fund for trials of driverless lorries, the next generation of technologists and engineers will be given an opportunity to see the tech in action and get hands on experience of robot building. 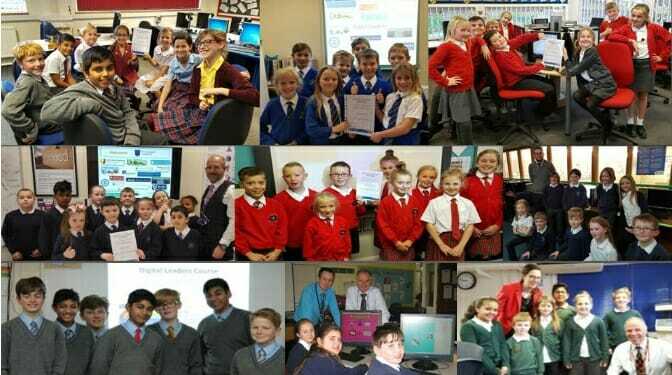 Catshill Learning Partnerships is a computing, ICT and online safety network, providing curriculum support and advice to schools. Established in 2011, its school-based services also include professional development and educational technology advice. There is a lot of excitement about the development of Scratch 3 that is being jointly developed by MIT and Google. Scratch 3 will be written in in HTML 3 and this widely anticipated release will be watched closely following the announcement that Adobe will be dropping Flash which is a requirement for the current version of Scratch 2. It has been confirmed that Scratch 3 will continue to use vertical programming blocks rather than the horizontal ones used by ScratchJr. The announcement of Scratch 3.0 is going to be welcomed by users who are struggling to use this brilliant and popular programming tool in schools. The Scratch Team at MIT will be affiliating with Google for this release which will succeed Scratch 2. There are no details of a final release date for Scratch 3 but a functioning alpha version is available at here. If you’ve managed to map the computing curriculum and your teachers are delivering exciting lessons, how do you assess what is going on and ensure that there is progression? A common myth is that progression is demonstrated by using different software. Moving from from Beebots to ScratchJnr to Scratch to Kodu to Python to PHP does NOT mean progression. You can deliver A-level courses with Scratch and year two lessons with Scratch. You may wish to consider progression pathways but is there a less challenging way to look at progression? The above screen shot is an alternative representation of the assessment grid that can be found in the excellent Computing in the Curriculum guide produced by our friends at CAS. We believe our version improves on the original. It doesn’t have numerical levels but shows steps for success. It also uses colour to identify the three themes of computing (blue), IT (red) and digital literacy (green). Download the KS1/2 and KS2/3 versions. How do you turn these statements into ideas for use in the classroom? We are also developing a dynamic version of the progression map with every statement hyperlinked to practical advice. So when you are asked what “Use sequence, selection, and repetition in programs” means, you can click on the text that will take you to a page that explains (with pictures!) what it all means. These open in J2e but you do not need J2e software to use the. Get the KS1-2 version here and the KS2-3 version here. 1:1 CPD for every teacher to get all staff up to speed with the new computing curriculum! As a school, we were keen to increase the footfall for our parents’ e safety meetings. Generally numbers were fairly low, but feedback to the sessions was always positive. We had always received positive feedback for our events over the year that supported transition (as a middle school, this is for our pupils joining us in Year 5) which includes various invites for parents to join their child in ‘showcase’ lessons, where adults have the opportunity to join in with a lesson and see what the pupils have been learning. To hopefully utilize the success of this model within our e-safety drive, we decided to combine the two. At the end of the autumn term, parents of our new intake in year 5 were invited into school for a Computing Showcase. This involved a half an hour session with their child in our ICT suite simply looking at all of the learning achieved over the term and any work created in Computing lessons. A definite buzz could be felt in the room from both children and adults, with pupils having the chance to share and teach what they had been learning. To link this session in with e-safety, we encouraged the pupils to share with the adults the ‘Think U Know’ website that they had already used within their Computing Digital Literacy sessions, and used members of our Cyber Council (pupil led digital leaders group) to welcome parents and introduce themselves. 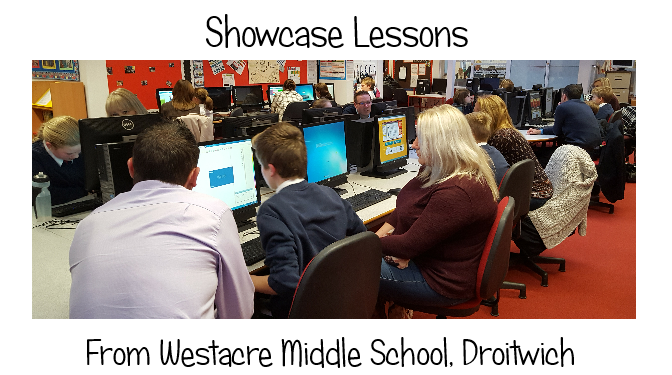 After the initial thirty minutes, pupils returned to their classrooms while the adults remained in the ICT suite. At this point, myself and Brett Laniosh led an e-safety discussion which looked in more detail at online safety. As per usual, the feedback from attending parents to this session was positive. Numbers of parents attending compared to last year increased slightly, and we will try this model again next term. We have sent out letters to this effect to all parents across school and invited parents to suggest suitable days and times that they could attend such a session, in order to take into account some parents’ other commitments. We’ve launched our new low cost Robot kit for the BBC Micro:bit. At just £25, the robot kit is great value and includes all the parts and instructions to make your own robot. A free programming guide allows you to write programs to control your robot. The robot is a fully programmable, expandable device with activities for all ages. Supplied with clear instructions the kit takes about an hour to build. More than just a robot, this is a maker platform with numerous sensors, input & output add-ons for off-screen computing projects. 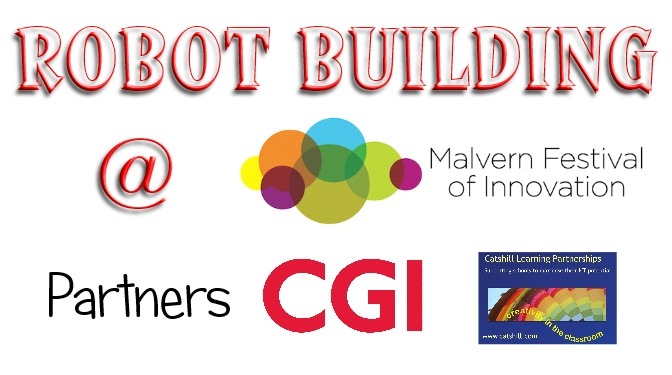 The robot kit is available from catshill.com/robot which also contains the build instructions, programming guide and downloadable resources. The robot is programmed using programmable blocks which will be familiar to those who use Scratch.